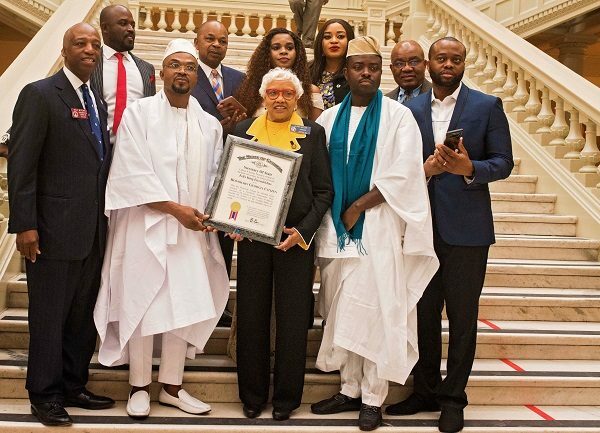 Serial entrepreneur and philanthropist, Felix King Eiremiokhae has been bestowed with the Honorary Georgia Citizen for his charity work in Nigerian communities through his foundation, Felix King Foundation. The honour from the State of Georgia, which took place on the floor of the Senate in Capitol building, confers on him the Goodwill Ambassadorship for the state and according to the Secretary of State, the State of Georgia, Brain P. Kemp, the honorary citizenship affords him to travel to other states, and to nations beyond the borders of the United States of America, or wherever he may hereafter travel or reside with the ease and privileges of a citizen. Reading the proclamation on the Senate Capitol in the State of Georgia, Gloria Butler, Senator representing District 55 of the state described Felix King as a philanthropist extraordinaire. According to her, King started his foundation in 2015 without enlisting the support of people and institutions other than out of his personal savings and his wife. She said that the Foundation’s key objective of giving hope to the poor and vulnerable widows and their children in communities across Nigeria by transforming their lives from despair to hope through different programmes such as business start-up initiatives, farm aids programme, free food distribution, educational grant and medical aids are in line with the principles the people of Georgia live by. In another development, King was also bestowed with a Humanitarian Award by the Trinity International University of Ambassadors also in Georgia for his works of charity and care for widows and the vulnerable. 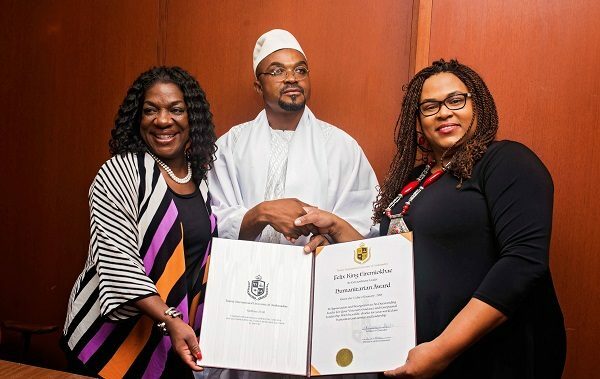 Dee Dawkins-Haigler, founder Felix King Foundation/winner Trinity University Humanitarian award and honorary Georgia citizen, Felix King and Dr. Jacqueline Mohair, founder/chancellor Trinity university during the presentation of award to King in the state of Georgia in the USA. 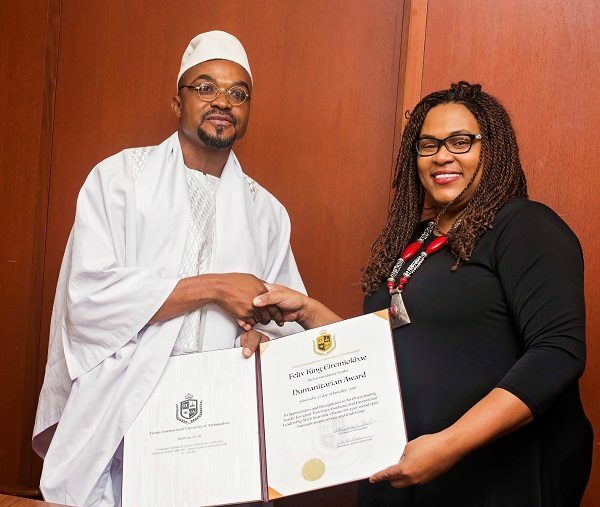 Responding to the double honour, Felix King in his acceptance speech acknowledged America as a land of opportunities and one that can be likened to a land that flows with milk while Nigeria is a land of hope and hidden treasures. 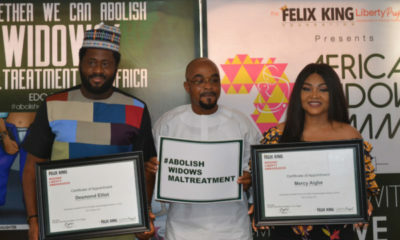 Felix King also in his acceptance speech noted that one of the greatest catastrophes ravaging Africa today is the prejudice against widows and the vulnerable in most of the continent’s societies. He noted that what makes the situation worse and dangerous is that it appears as if nobody was ready to make the interventions needed to make change possible. “It is difficult to understand why the society exploits the pains and vulnerability of widows and their children by exposing them further to poverty, diseases, and other forms of social and economic deprivations in a manner that suggests we are holding them responsible for their misfortunes”, he expressed his happiness at the award and pledged his determination to devote more of his time and resources towards making life more meaningful for the less privileged, especially the widows and vulnerable children. Eiremiokhae is known an entrepreneur, who conceived the idea of owning his own business early in life. In 2004, he incorporated Oracle Experience Limited and in 2014 he incorporated Mayor Biscuit Company Limited, also known as MABISCO. 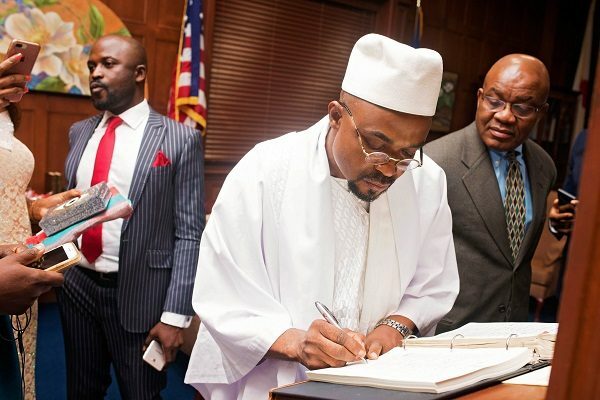 In a country where the unemployment rate is very high, he has been able to provide employment opportunities for nearly one thousand individuals.